In stock. Order in the next 3 hours, 16 minutes and it will go out today! This might be one of the most underestimated books at Vanishing Inc. For the price, you get 130 pages filled with clever methods for common and uncommon card tricks. Kevin Kelly is a Marlo student, and this really shows through in his overall approach to card magic. If you look for it, you will find more than a couple "magician foolers" in this softbound book. 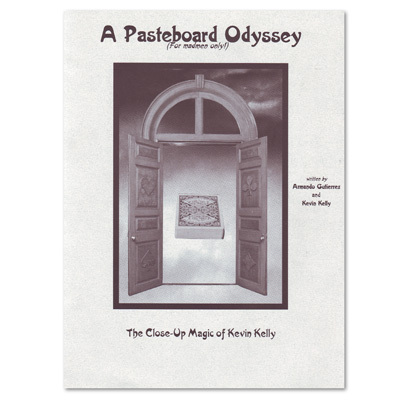 A Pasteboard Odyssey contains 31 routines and 29 new (vastly improved) moves that almost anyone can do. Highlights include: Inverted Submersion, Punch Meets His Match, and Quicklap. The book also contains contributions from some top card men, including: Ed Marlo, Don England, Wes Schield, Harrison Kaplan, and Phil Hannes.